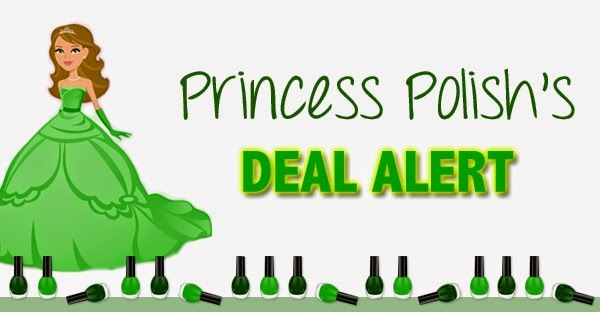 Princess Polish: DEAL ALERT: Get Zoya Nail Polish for $4.84 a bottle at ULTA Beauty! 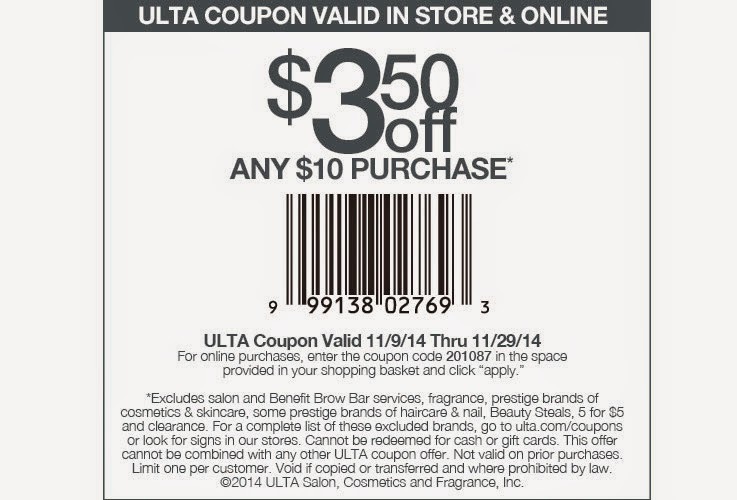 DEAL ALERT: Get Zoya Nail Polish for $4.84 a bottle at ULTA Beauty! Hello, my fellow polishaholics! You may remember last week's post about how to get any Zoya shade for just $6.50 at ULTA Beauty any day of the week. Well, this week only, you get get any non-PixieDust shade for just $4.84 a bottle. To learn how, keep reading! 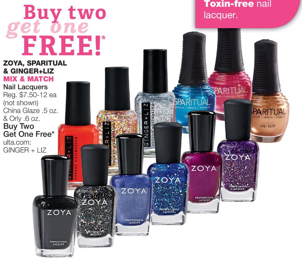 This week at ULTA Beauty, all Zoya nail polish is Buy Two, Get One Free. 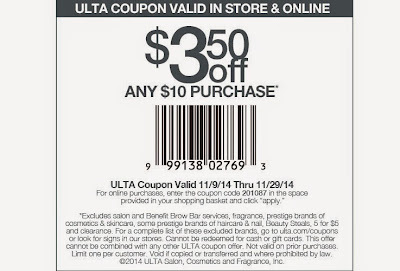 Additionally, the current ULTA coupon is $3.50 any $10+ purchase. In order to get the bottles for $4.84 each, you must buy three bottles. The cost of any non-PixieDust Zoya shade is $9, so three bottles will be priced regularly at $27. Once you have selected your polishes, $9 will immediately be deducted at the register to bring your total to $18 before tax. Use your coupon and your total will now be $14.50 before tax, a price per bottle of just $4.84! Please note, the price will only be $4.84 a bottle when you buy exactly three Zoya polishes IN STORE. Zoya is NOT available at Ulta.com. What shades are you planning to buy with this super Zoya deal?